Is RO water purifier really necessary for your family? Clean water which should be a basic right, is something that we are struggling to provide our families today. The ever increasing pollution, stress on natural resources and meaningless wastage is adding to the woes. According to a report, published in hindustan times 63 million Indians do not have access to clean drinking water. But this is just scratching the surface, as this data is related only to rural India. Have you ever given a thought to consider if urban population is receiving clean water? The cities are ever expanding, thus putting immense pressure on the meager resources. The water bodies that are present in the cities are being polluted, then how can we assure clean water to our future generation? Quality drinking water is one of the key concerns in the modern era. Pollution is on a gradual rise, which makes it necessary to ensure proper purification standards to safeguard health of our family members. Gone are the days when simple filter was enough to clean the water. The old filtration methods cannot tackle impurities like pesticides, heavy metals and THM hence the need for an RO water purifier. What is RO Water Filtration? RO (Reverse Osmosis) is a water filtration process that uses a semipermeable membrane to remove molecules and other particles from the water. In this process dissolved inorganic salts and other solids are removed by passing the water at high pressures from a semipermeable membrane. This process can remove impurities like fluoride, chlorine, detergents, lead, pesticides etc. Why is RO purification necessary today? As the cities expand, the fringes rely on tanker or bore wells for water supply. This water is not necessarily fit for drinking. Having an RO purifier at home, helps you keep a check on the quality of water that your family is consuming. Investing in clean and healthy water is the need of the hour. But what kind of filter should you look for? Here are a few things that you should look for in an RO filter, before making your purchase decision. If a filter offers Mineralizer and anti-scalant cartridge then that’s the best RO water purifier to have as anti- scalant increases the life of RO membrane by softening the water and mineralizer adds minerals and manages the pH value of the water, which not only improves the taste of the water but also makes it healthy. Do check if the company offers replacement of the RO membrane within the warranty period as that is a major contributor in the cleaning process. 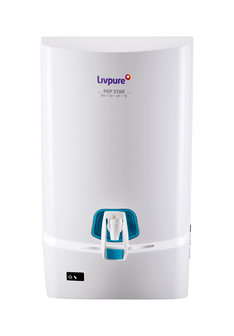 Livpure’s RO purifier is equipped with an extensive purification process that filters all-possible impurities from the water and offers replacement of membrane within the warranty period. Disclaimer – This is a sponsored post, however the views here expressed are my own. I have done the necessary read-up and the information provided is true to my knowledge. Clean water is a necessity and these water purifiers look good. Thanks for sharing the information. Finding the right RO purifier is indeed tough. 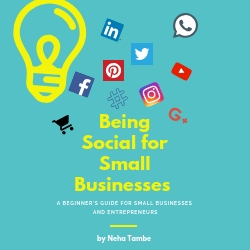 Your article will help to choose the right one. 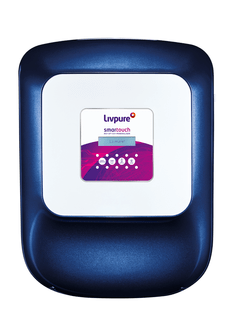 I love Livpure water purifier and already use one, so far it is working fine. In India, it has become more of a necessity to drink safe water. I already have seen your all content and realize that this is the best article for water purifier buying guide. Thanks for being sharing your valuable article. I really think RO water purifiers are important for making water purified and also the taste is really good. As the cities expand, the fringes rely on tanker or bore wells for water supply. This water is not necessarily fit for drinking. Having an RO purifier at home, helps you keep a check on the quality of water that your family is consuming. But the only problem is that they are very expensive. The importance of drinking clean water can never be compromised. Water is the best medicine and you can never take it for granted nor the water purifiers that are used to ensure the good quality of the water. So it is a necessity to buy a water purifier for your home. This is indeed useful. A short bur precise post.